We were named by Trulia as being a member of the top 1% of Realtors in 2014. 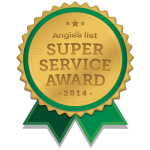 For exemplary customer satisfaction, Nesbitt Realty have received the Super Service Award from Angie's List members. We are members of the National Association of Realtors, the Virginia Association of Realtors and the Northern Virginia Association of Realtors. We are members of the National Association of Residential Property Managers. Our agents have obtained sales recognitions for multi-million dollar sales production. Member of our team have achieved important accreditations such as Accredited Buyer Representative (ABR) and Certified Distress Property Expert (CPDE). As recommended on Merchant Circle! Initially I was looking for a small rental to use while commuting from NY to DC for work. After deciding to move to DC, I needed a larger rental closer to work. They helped me find a condo that was right near the Metro and was reasonably priced. Will was very helpful. Will was great, really went above and beyond to help get the unit ready for sale, one the market quickly, and sold fast. Recommend him highly! Will then found two other properties we needed to purchase and both those deals went smoothly as well. The best real estate professional in the DC/Northern Viginia area. Will helped me buy 2 homes and sell 1 home. He also manages a rental property for me. He is a true professional who understands every aspect of the business. I highly recommend that anyone interested in buying, selling or renting a home work with Will. I would strongly recommend Will Nesbitt as a real estate agent. He is not only my realtor, but he is now a good friend. He's the only agent I will use. I was qualified for more than I was willing to spend and I was grateful that no one from Nesbitt Realty ever tried to pressure me to spend more than I wanted to. It was a great experience work with Will Nesbitt and his attentive team to buy my first home. I was moving into the area and didn't know who to call. After some hours of research and home searching I found Will. His entire staff was quick to respond to my emails and phone calls. If you are interested in buying a home in the Northern Virginia area do not hesitate to call Will. I absolutely recommend Will Nesbitt and the team at Nesbitt Realty. Will handled the sale of my condo with a sense of urgency and attention to detail which is exactly what I needed for my sale. I am out of state and was not able to be there for any of the process. Via telephone and electronic communication- Will had my condo sold in less then two weeks. I knew what was happening each step of the way. Thank you Will for making my life easier! I have sold 9 houses in my life time. One in Alabama, One in Texas, and 7 here in the Northern Va area. This was the last of the nine. 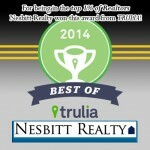 Nesbitt Realty (Agent Will Nesbitt) was the best experience yet. Very responsive to my request to meet at the property, great advice on how to market and how to price the property. Outstanding responsiveness to all my request. Advice and insight were on the mark. Property sold in less than a week. Advice on negotiating once we had offer was excellent and assistance in completing the sales process was outstanding. Will Nesbitt's knowledge of this market is outstanding. He is a no nonsense person with integrity. If you want an agent and a company that will get the job done and represent your interest, Select Nesbitt Realty. Nesbitt Realty both managed and then sold my property. Will, Julie and the whole team were consistently reliable and very professional in their management of my property. As the landlord, they always had my best interest at heart. 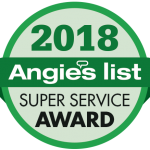 They worked very hard to deal with some of the most difficult issues that could face a property manager and dealt with them very professionally and decisively. When I decided it was time to sell my property, Julie Nesbitt was a pleasure to work with as she was always professional and worked very hard to get each part of the process completed in a timely and efficient manner. She made a seemingly daunting process uncomplicted and easy. Julie instilled a confidence and trust that she would get the job done and have my best interest at heart, and that she did. I would highly recommend the Nesbitts to anyone looking for a property manager or agent. Nesbitt Realty has some poor reviews on Yelp. 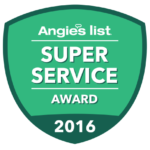 This is despite the fact that we have received numerous awards for customer service and client satisfaction. How do those two square with one another? The short story is that at the end of a lease, most people part ways in a friendly and business-like manner. But sometimes, there is turmoil. Some tenants don't clean up after themselves or they damage the property they were renting. Even more rarely, a landlord wants us to withhold more money than the landlord is owed. No matter who is at fault, Nesbitt Realty does not profit or gain anything from the mess. But no matter who is at fault the person who loses money blames Nesbitt Realty. We love returning deposit money to tenants. We hate charging late fees. But it's our experience that when a lease ends and a tenant gets his deposit returned in full, he doesn't take a moment to leave a positive review. But every single tenant that thinks Nesbitt Realty ripped him off (we don't rip anyone off) leaves a bad review. It also happens that when we have a place listed for rent, we get multiple applications. When that happens the landlord can only choose one applicant. The applicants that don't get selected sometimes get angry. They think that we somehow benefit from just picking one tenant. We'd love to rent to everyone, but that's not how things work. If you are a landlord this is a big heads-up about what kind of people that we will shield you from. A few people (2% to 4% of them) are difficult, unreasonable people. We do our best to avoid unreasonable people but sometimes they slip by. Most of the time, we inherit them from landlords who have thrown up their hands and asked us to step in to tamp down a tough situation. If you've had a positive experience with us, we'd very much appreciate you letting others know. However, what you'll find out is that Yelp hides good reviews --- furthermore you'll find that your positive review is NOT counted after a day or so. Yelp hides our positive reviews. See the videos for a full explanation, but the short reason is because we refuse to pay extortion to Yelp. So we're in a difficult spot. Yelp highlights unreasonable tenants but hides happy landlords. Nesbitt Realty has many great reviews on Yelp, but these reviews are hidden. Yelp calls these "not currently recommended" reviews and they are way, way down on a business' Yelp page. 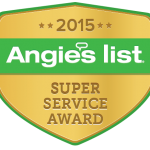 We have many great reviews from real clients that Yelp has hidden. Here's what you have to do to see these reviews. Scroll all the way to the bottom of our business' Yelp page, right after the last review. Click the "other reviews that are not currently recommended" link. At first you might not even see this link and secondly, you probably won't know it's a link. 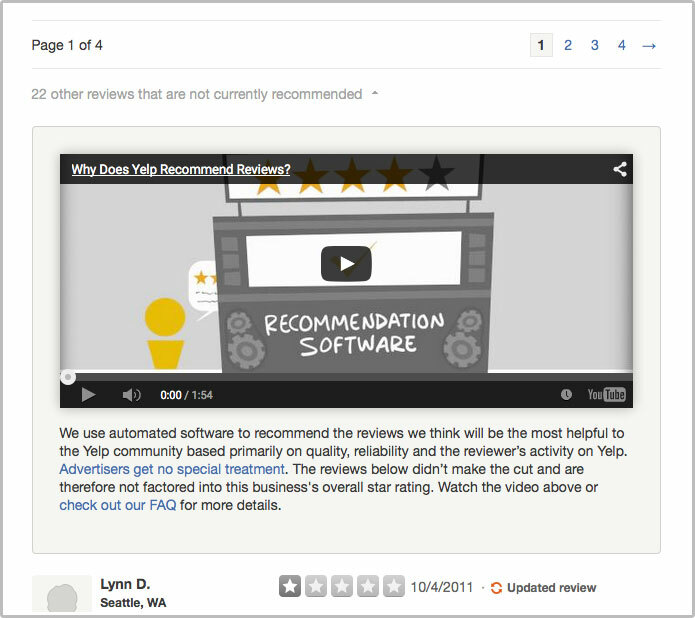 A few will show up, with a video at the top that explains why reviews are filtered. When you do this Yelp displays only a handful of reviews, usually highlighting tenants who have posted more than once. To actually see some more of our "filtered" reviews, scroll down to the bottom of that list, and you'll see this link: "Continue reading other reviews that are not currently recommended" Click that link and you'll see the entire list. At the bottom of that you'll see a list of reviews that have been removed for violating Yelp's content guidelines or terms of service. The content of these reviews cannot be read. Why Does Yelp Hide Good Reviews? Because We Refuse To Pay Extortion. What’s the difference between a real estate broker and a real estate agent?